TEDxDelftWomen would not take place if it were not for the support of our outstanding sponsors. They share the spirit of TED’s mission of “ideas worth spreading”. 1. What is the name of your company, and what do you do? Image & Styling trains self-conscious men and women in their outward appearances and image awareness. Karin van Paassen directs her result-oriented training programs to government, businesses and multi-national corporations in the Netherlands and abroad. 2. What is the company’s mission/vision? 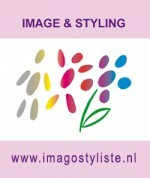 Image & Styling wants professionals to learn about the impact of presentation. Whether you are a freelancer or working for a multi-national, you’re always meeting others. Being aware of who you are and how you appear can be used for creating the image that will help reach your goals. 3. Why did you choose to sponsor TEDxDelftWomen? 4. What do you see in common between your company and TEDxDelftWomen? When you have an idea worth spreading it is important that the message is clear. Image & Styling shows how clothing can support the communication by minimizing distractions. Interested in being a sponsor of TEDxDelftWomen 2015? We engage the local community by inviting people and companies to contribute whatever skills, goods or funds they are able to share. It is our belief that the TEDx concept is such an inspiration to so many people because its partners contribute whichever they are good at. If you feel you or your company can relate to TEDxDelftWomen don’t hesitate to contact us.